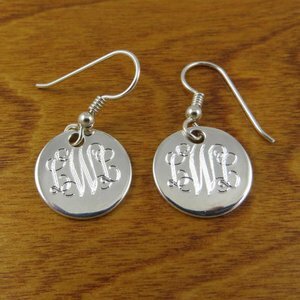 These hand cut Personalized monogram earrings are cut from 18 gauge sterling silver sheet and measure 5/8" in diameter. (Very high quality). An engraved monogram has a classic look and is the perfect way to personalize that special occasion. Excellent bridesmaids gifts.